You gotta love those Angry Birds! Well, they simply can surprise us all in many ways with their antics and smug sense of humor. 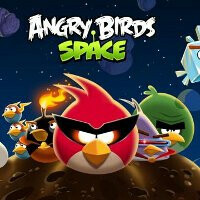 In any event, we’re certain that there are plenty of people across the world getting their game on with the latest installment – Angry Birds Space. Interestingly, BlackBerry PlayBook owners got a surprise very recently, but then, it seems as though those birds executed yet another prank joke on them. Specifically, Angry Birds Space was briefly made available to download from the BlackBerry App World very recently, but in a surprising twist, it pulled off a disappearing act of some kind. From the looks of it, someone over at RIM jumped the gun just a tiny bit and just couldn’t wait to let the game out, but it’s has been taken down. Still, we can only hope at this point that it’ll be coming back very shortly, where it’ll be available for purchase at $4.99. In the meantime, PlayBook owners will only need to wait it out before experiencing Angry Birds Space, but for those lucky enough to snag it while it was up, we’re sure they’re making good use of it. I'll buy it when its available again, its great on the phone but the bigger screen and no adds is worth it. Its too bad that it has to be priced higher due to the platform not being as popular as Android though, but I think its same price as on Ipad so maybe that's what they're going off of?